The rainy season has continued through November and with the rain has come renewed planting and hope for the future. When it rains here – and I find myself ‘grumbling’ about it – I try to remember how welcomed the rains are in a drought stricken country. With water there is life. This time of year also marks the end of the school year. While this is significant for all students it is particularly important for those in Grade 8. They have been completing the most important exams of their lives. The results of these exams determine if they are allowed to attend high school and the type of high school they can attend. The higher the marks the higher level of school. We have guaranteed our children that if they qualify for a higher level – a more expensive level – that we will fund their education. The results will not be known until January and then assignments are made. Between our existing high school students and those attempting to enter we could be supporting 18 high school students this coming school year. We are estimating a cost of between$4000 and $5000 to pay for their tuition. Our new building – the new Rolling Hills Residence – continues to go up. The two lower levels which house the youngest boys on the first level and the oldest on the second, have been completed and are in use. The kitchen is now in use and the dining hall – The Whitehorse Room – is having its finishing touches put in place. The final story, the residence for the girls and the offices for the outreach program has had its external shell completed; walls, windows and roof; and hopefully will be fully functional within the next two months. In the interim, the girls continue to reside in the existing residence, although with twice the space now, as the older girls stay in the previous boys’ room. I look forward to showing you pictures in the December update and then finished pictures in the new year. Please let us know if this is alright. Our students are looking forward to celebrating the success of our fundraiser at our school-wide assembly in about a week. 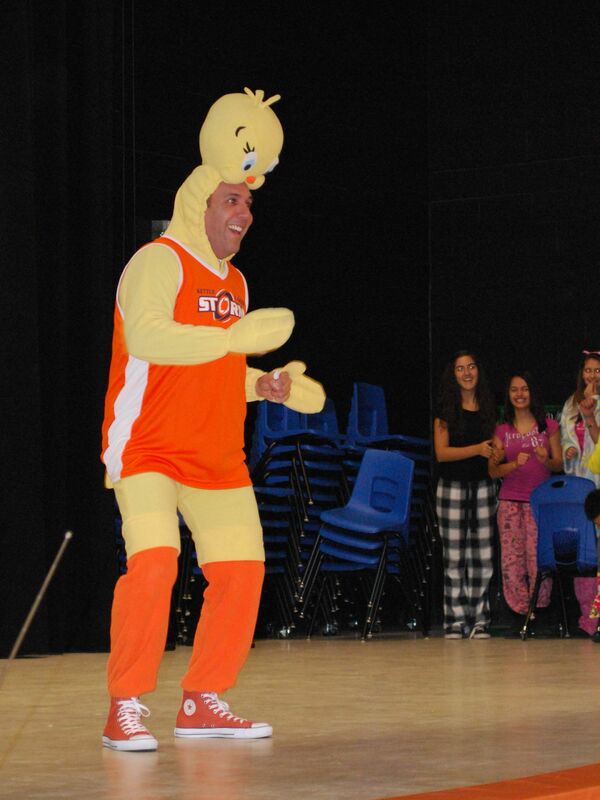 At that time, Michael (our principal) will be dressing up in a chicken costume – as he promised he’d do if the students raised more than 225 chickens! It would be wonderful if we could have some pictures of the kids in Kikima with some chickens to show our students at the assembly too… do you think that would be possible??? 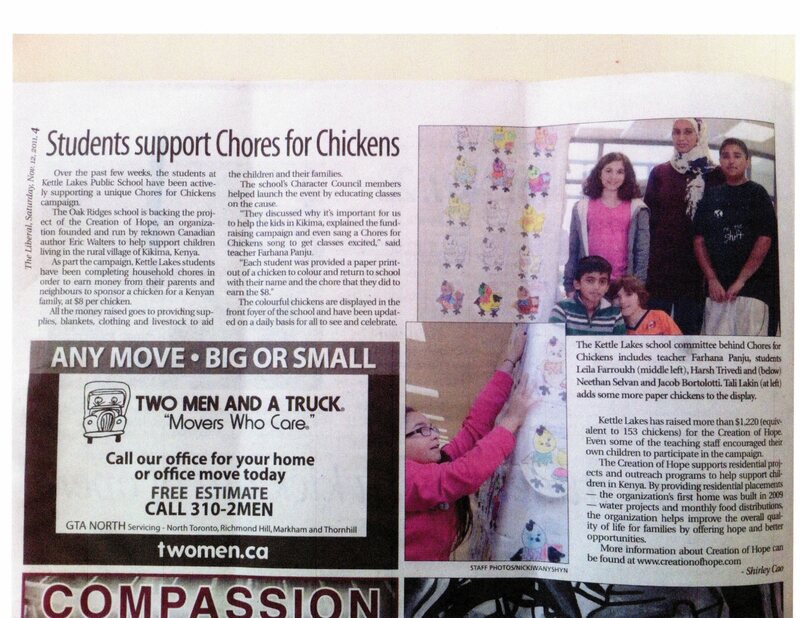 The schools efforts were noted in the community newspaper and on local cable. Below is the link forwarded by Farhana. Please have a look at the link to the cable segment and celebrate the achievements of the staff and students of Kettle Lakes. Ruth/Kay, I really hope you are able to view the clip (about 3 mins long), and perhaps even show the kids in Kikima how other kids across the world are caring for them! Ryan Rumsby is a long term supporter and a personal sponsor of our program. He has transferred schools this year but continued to provide his “new” students with the opportunity to get involved and has involved two more classes – Mrs. Perry’s and Mr. Newman’s classes. Not only have they assisted their students to understand the importance of helping, but as with Kettle Lakes, the children are doing the work to raise the money. That is so important. As well Mr. Rumsby has again asked us for a ‘grocery’ list of possible ways the funds raised will be spent and he allows his students to make the decisions. Those decisions will be shared in the update in the coming months. Right now, we are deciding what to put the $700 towards. It is very hard because every little thing counts. You gave us so many amazing options. We really hope to do a lot more work. We thank you for all of these wonderful options to put the money towards. Jack Hulland is one of our two amazing Whitehorse schools that continue to raise money for our program. The dining hall in the new building is called The Whitehorse Room in honor of their ongoing efforts and the final touches of the dining hall will be finished in the coming weeks, complete with pictures of the students and a Whitehorse flag. Here are their latest efforts. Please find enclosed a cheque for $1000.00 from Jack Hulland School for the Creation of Hope. These funds were raised by my grade seven class by running a canteen at our yearly craft fair as well as at a volleyball tournament. 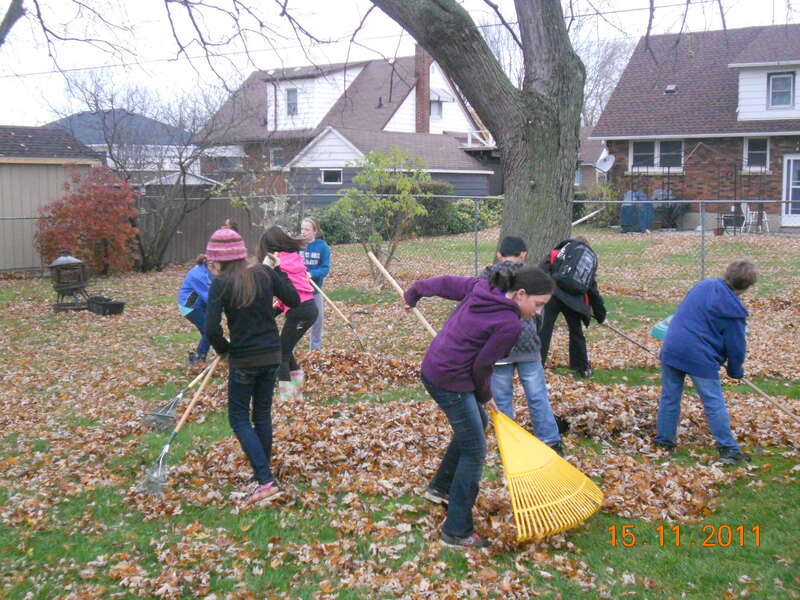 I am proud of these students and their efforts to be active citizens in our world. 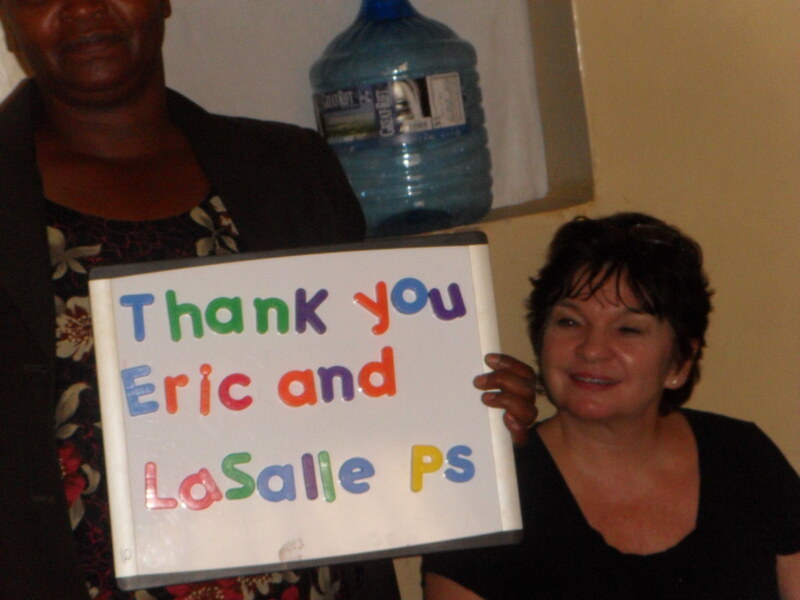 Lasalle, under the leadership of Martha Martin, has been an amazing supporter of the program over the years. This year they asked me to come to their school to present as a writer. The fee that they paid me was given directly to the program and provided the money to pay for the food for Exodus Children’s Home for the months of November and December. 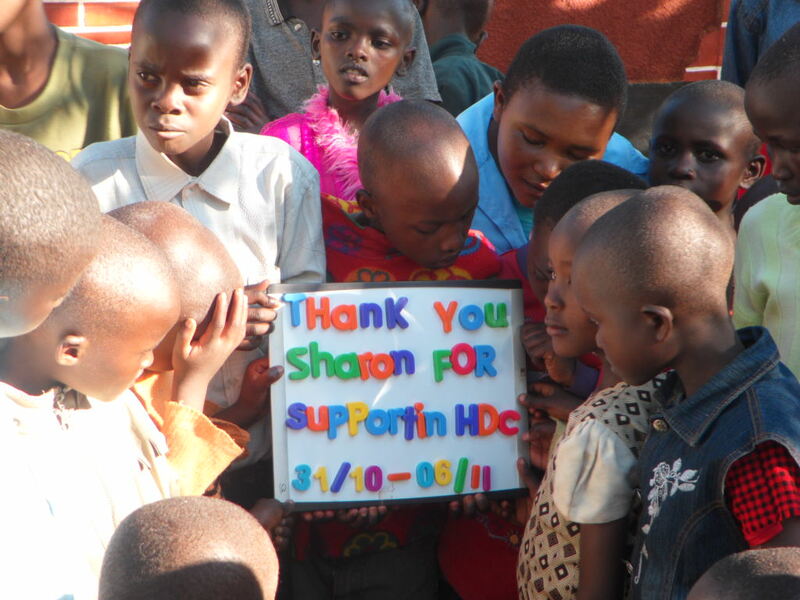 Sharon was in Kenya as part of a program to help promote writing in different African countries. 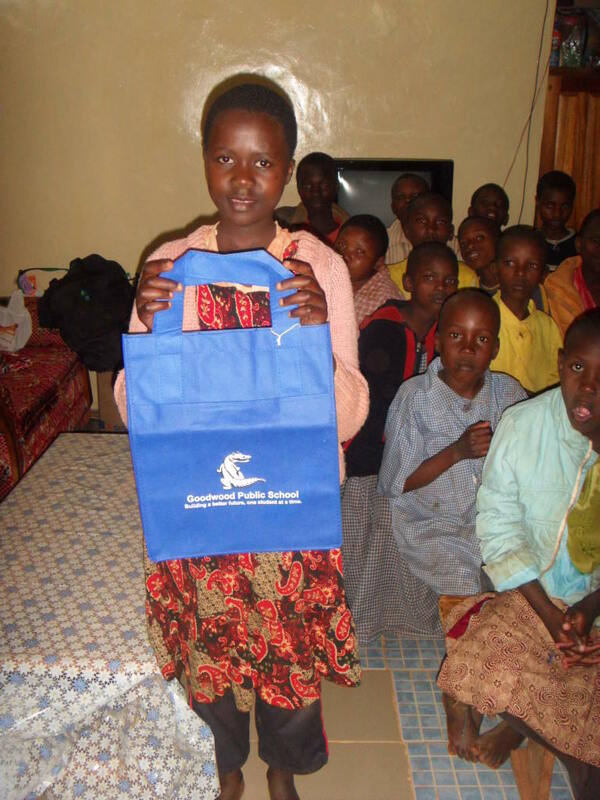 She has been a supporter of our program – having given her time in two different literacy days – and we offered her the opportunity to go up to our program. She spent three days in Kikima, living on the grounds of the orphanage in Ruth and Henry’s home, visiting the community and meeting the children and donated $350 for one week of the orphanage’s operation. 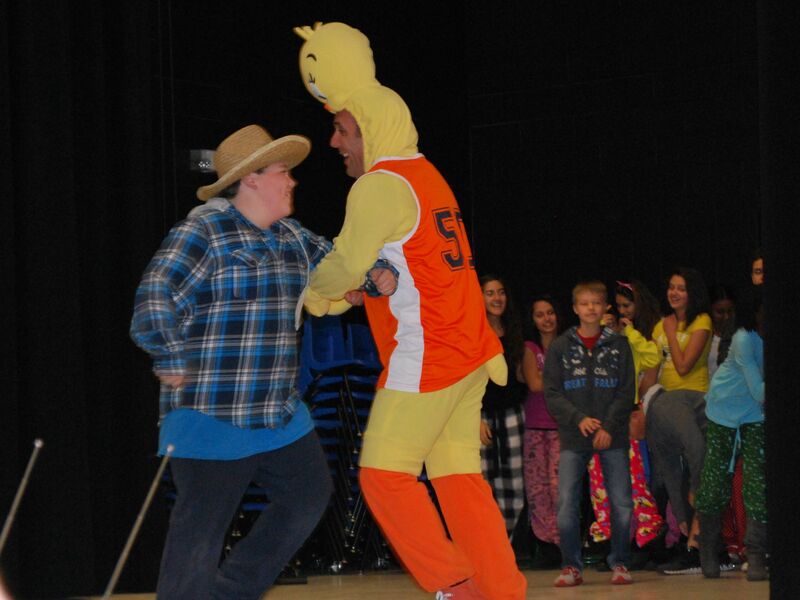 Spruce Ridge Community school students donated $16.00 – reaching into their pockets at the end of my presentation. 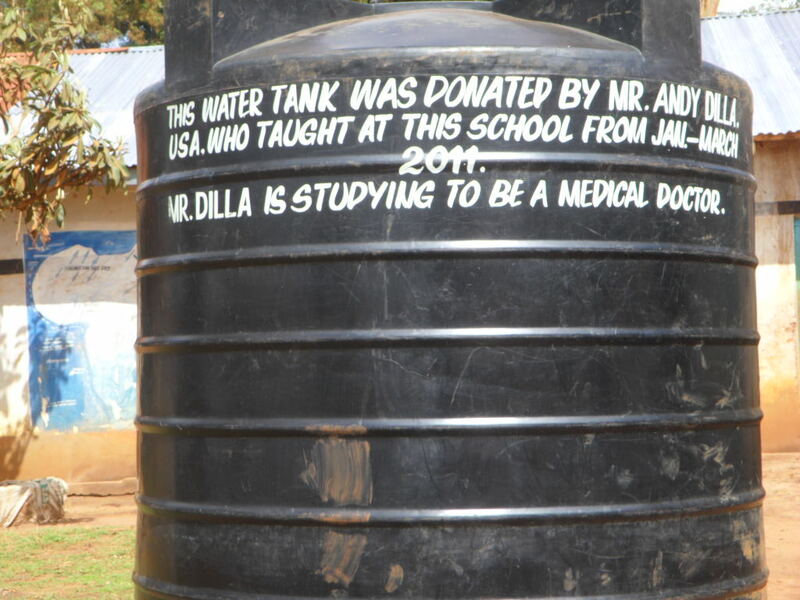 Andy Dilla spent two months in the program early this year prior to entering medical school. 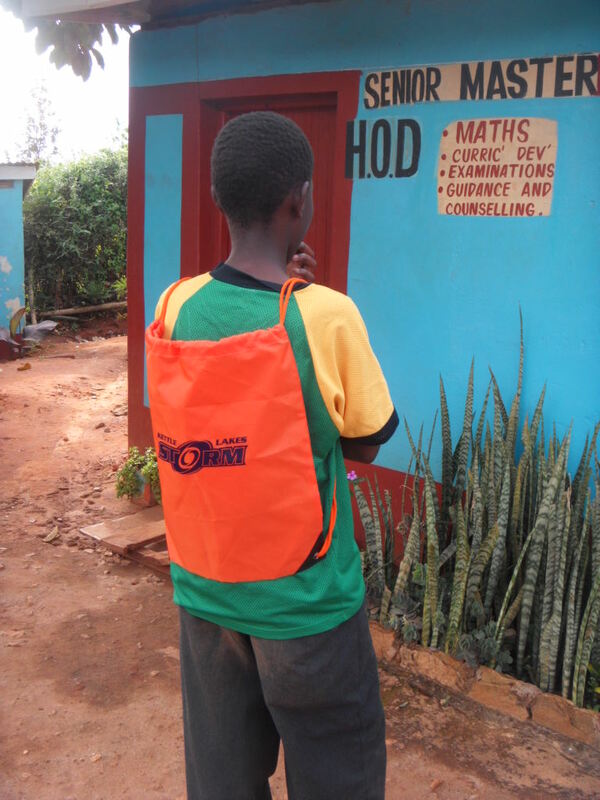 He was a valued member of the community and decided once he returned to fund a special present for the school, Kyangoma, where he taught. Kate Dawber, one of our other wonderful volunteers who spent two months teaching at Kyangoma held a ‘movie night’ with Nicole, Lisa, Ashley, and Adam and showed ‘A Small Act’ and raised $65.00 to be put toward drought relief. Kate has inspired her sister Emily, who raised money at Queens, and her father, Fred, to continue to make donations. 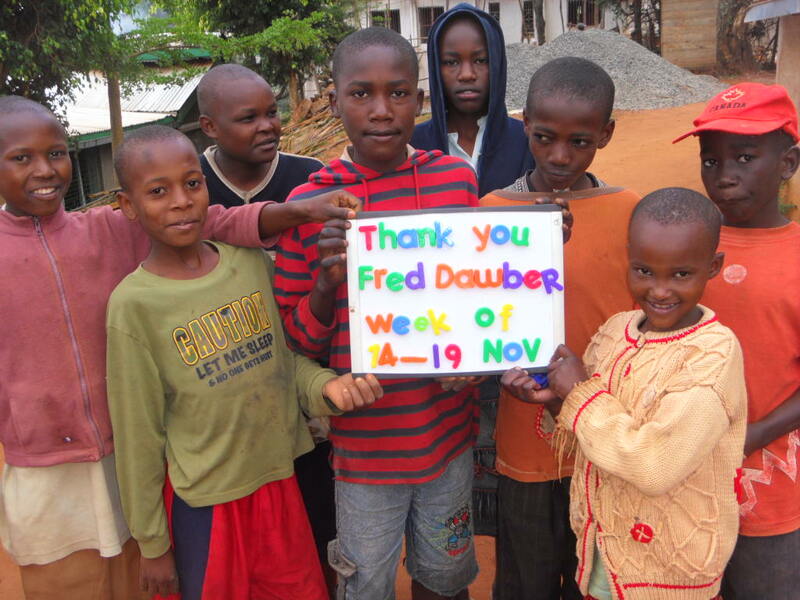 Fred has become one of our most generous, caring supporters of the program. John Wilson – another great Canadian writer – made a donation of $100.00 to the program. Peggy Thomas has made a generous donation of $200.00 to be used to support the program. Glenn Bonsall made a donation of $50.00 for his sister-in-law Mary Ann Watson-Bonsall. Koko Saar, who with her family sponsors Koki, has made a $270.00 Christmas donation in honor of the Godparents of her children. She has asked that this money be used for a water project. Our next project will be initiated in the coming months. Often I am given presents from schools. 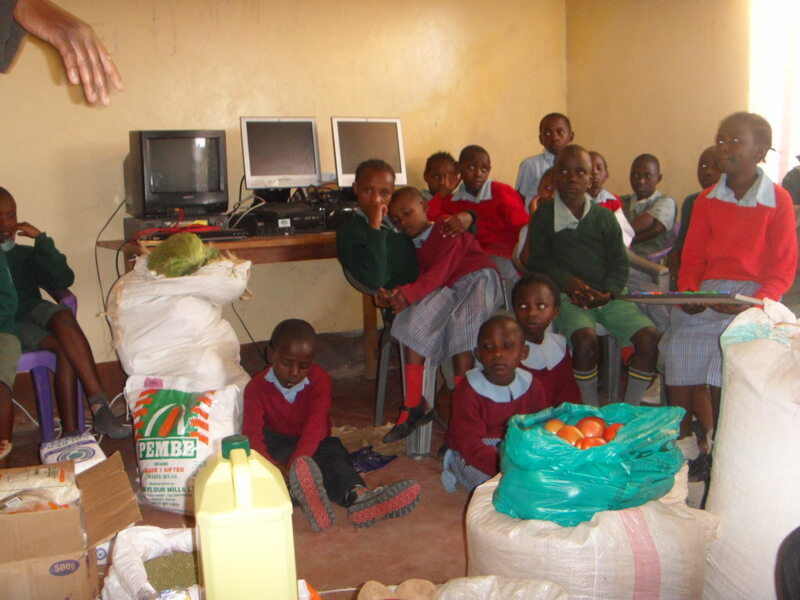 We try to bring these over to Kenya where they will be used and appreciated by the children. We have launched a program where individuals and schools can support the entire Rolling Hills Residence. 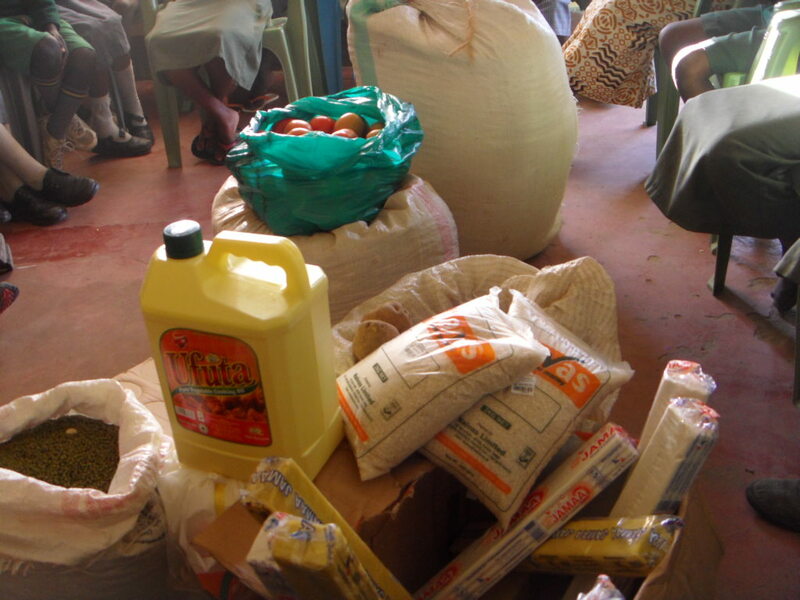 $50.00 provided one day of support – this funds the food for 31 children, their medical care and treatment, school uniforms and supplies, electricity and sanitation for the building, and the salaries of the matron, tutor and night watchman. Here are our first supporters. 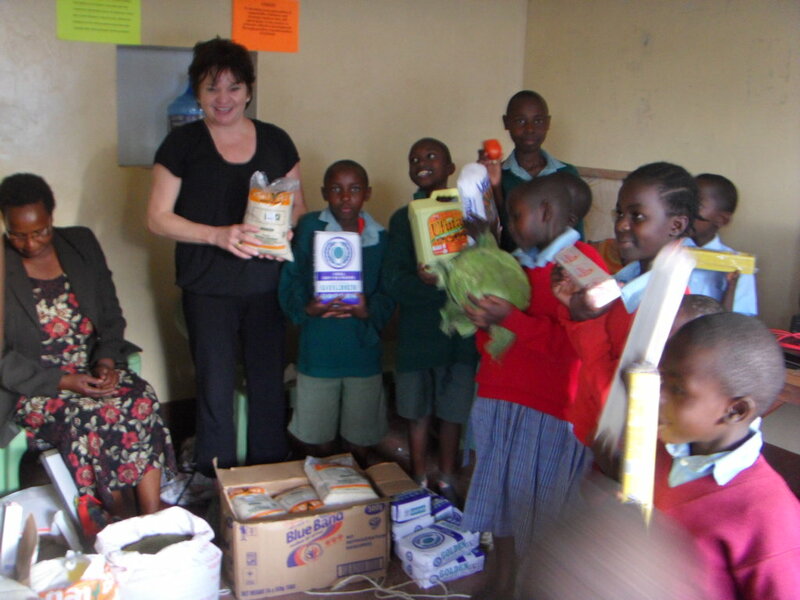 “On February 14, I was invited to do some literature-based volunteer work in Kenya. I immediately let Eric Walters know and by the end of that day, I received an email from Ruth Kyatha confirming my stay at the Hope Development Centre – my tour all arranged by the tireless Eric! And so on November 3rd, work finished, I drove along one of the worst roads in the world to one of the most beautiful places on earth. Up at 5:00 a.m. with the rooster (whom I secretly nicknamed Eric), I walked around the grounds with tea mug in hand and stared off into the distant highlands where I could just make out Mt. Kilimanjaro. I watched the cows being milked and the goats being tethered (they take the place of lawn mowers) and ate bananas off the tree. Kay collected our banana peels and when I asked about composting, she smiled and led me to the compost – the six cows who love banana peels! Later, I was taken on a tour of the new bio-fuel tank. 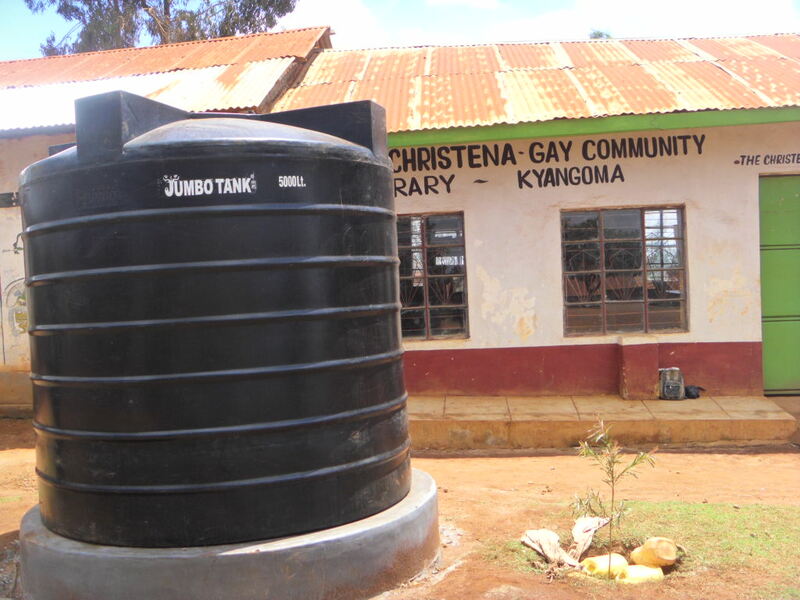 Cattle dung is collected and through a feat of engineering is turned into methane gas. Tubes lead the gas into the kitchen, and that is how I boiled the harvested rainwater for my tea. I spent three very busy days in the surrounding countryside, visiting those schools and children who receive sponsorship from so many generous Canadians. I was warned by Eric that I would be an oddity, and after much staring and giggling (at my pasty white skin – and one little scallywag had to lick me) we posed for lots of photos and speeches and running of hands through my hair. I was often asked to give impromptu pep talks along the route. At Kyangoma Primary School, for example, I was invited to pray for those children about to write their grade eight standard exams. These exams are nerve-wracking! How well the students do determines whether or not they get into the better high schools; and if they don’t, well…the writing is on the wall for their futures. I prayed my hardest! 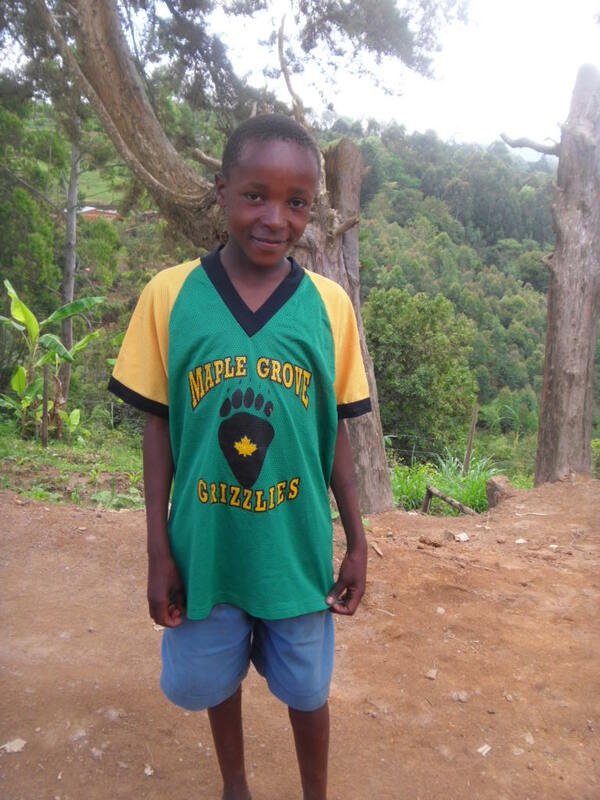 We have added four new sponsors this month – two Canadian sponsors and two Kenyan sponsors and now have 111 sponsors who provide support for over 400 orphans in the Mbooni District. All in all it’s been quite the month for Creation of Hope and Rolling Hills. 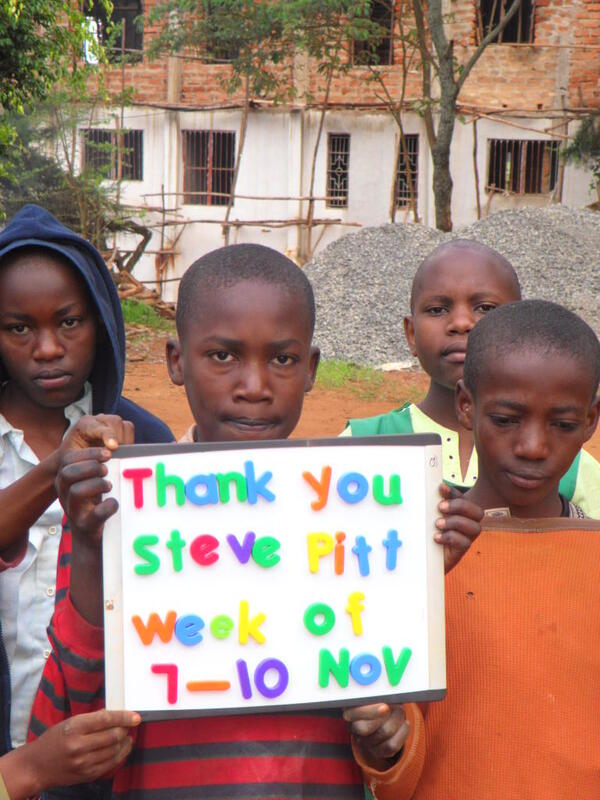 Thank you to all our supporters for your generous contributions.